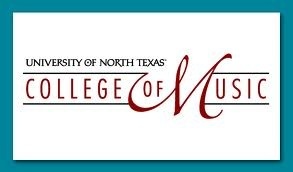 Schulhoff selections from "Five Pieces for String Quartet"
The BaumerSQ collaborates with the chamber music faculty and select students from the UNT College of Music for two special concerts. The BaumerSQ will work closely with chamber music students at the college through a series of coachings, masterclasses, and open rehearsals. The Baumer SQ is pleased to join members of the UNT string faculty, principal players of the Dallas Symphony, and esteemed guest artists for the first session of the UNT SSI 2016. Private lessons, chamber music, string orchestra, clinics, masterclasses, and concerts will be the focus of an intense workshop for violinists, violists, cellists, double bassists, and harpists. All this in the rich and wonderful environment of the UNT College of Music with its great facilities in the the heart of North Texas and the Dallas - Fort Worth Metroplex. ​The BaumerSQ collaborates with the chamber music faculty and select students from the UNT College of Music for two special concerts. The BaumerSQ will work closely with chamber music students at the college through a series of coachings, masterclasses, and open rehearsals. Sunday, October 26, 2014. 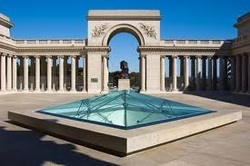 3:00 p.m.
BAUMER STRING QUARTET, with clarinetist John Klinghammer Sunday, October 26 3:00 p.m.
Chamber Music at the Legion is a free concert series presented in collaboration with the San Francisco Friends of Chamber Music. Now in its fifth season, this popular chamber music series is presented on one weekend day of each month from February to July. Join us in celebrating the Legion’s restored period room, the Salon Doré from the Hôtel de La Trémoille and the special exhibition Intimate Impressionism from the National Gallery of Art. 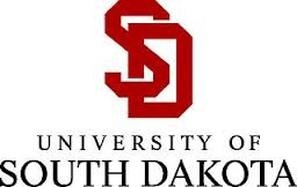 The program will include Mozart's String Quartet in D minor, K. 421, Shostakovich's Quartet no. 7, and Dvorak's Quartet no. 14 in A-flat major. July 11, 2014. 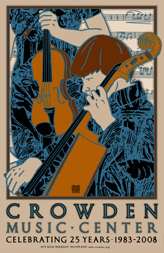 Crowden Music Center, Berkeley, CA. Come join the BaumerSQ and all of the amazing faculty of the Crowden Chamber Music Workshop (CCMW), as we celebrate and perform portions of the very best that chamber music has to offer. This year's program features a collaboration of some of the best chamber musicians from within the Bay area and from around the country, highlighted by performances from members of the Delphi Trio, the Fry Street Quartet, the Musical Arts Quintet, and the Baumer String Quartet. The program will feature works by Mozart, Faure, Mendelssohn, Haydn, Saint Saens, Brahms, Prokofiev, and Dvorak. 7:30pm, Friday, June 13, at All Saints Episcopal Church in Carmel-by-the-Sea, CA. This concert features the Baumer String Quartet as well as their top students from the MCMW Emerging Arts Program and our MCMW Student Spotlight Program. This year three students were selected for these programs and were given the opportunity to perform along with the Baumer Quartet in works by Mozart and Tchaikovsky. 2:00pm, Saturday, June 14, at Santa Catalena School, Monterey, CA. This concert features all of the MCMW students in performance. MCMW 2014 welcomed 13 talented students from the Monterey/Carmel area and featured the students in works by Bacewicz, Bach, Dohnanyi, Lutoslawski, and Shostakovich. Bravo to all of the fantastic students from MCMW 2014 and to all of those special people who have made this free program possible and accessible to everyone! 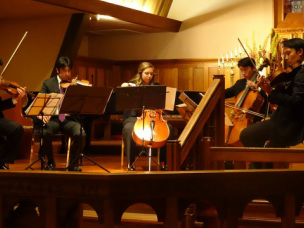 The BaumerSQ joins a dazzling array of distinguished musicians with close connections to the Crowden Music Center. The finale concert of Crowden's 30th anniversary season will bring together many of these good friends, alumni, faculty, and students for one unforgettable evening. Including the world premiere of Crowden School alum Samuel Carl Adams’ new choral work for unchanged voices, commissioned to honor Crowden’s 30th anniversary. For more info, please click on the following link http://events.sfgate.com/berkeley_ca/events/show/368678945-crowden-30th-anniversary-concert. Quartet Residency at the Crowden Music Center, Berkeley, CA. The BaumerSQ is honored to be the featured guest artists to commemorate the 30th Anniversary of the Crowden Music Center. The quartet will be featured in a chamber music masterclass, a small chamber music soiree, and in a full performance as part of the Center's Sunday's @ Four series. Repertoire to include Beethoven op. 18 no. 1, Bartok String Quartet no. 1, and Tchaikovsky's Souvenir de Florence. For more information, please check the Crowden website at http://www.crowden.org/Events/sundays.htm.